Pitting against YouTube, Netflix, and other TV networks, Facebook has decided to roll out its own dedicated video streaming services for its users real soon. The founder of the social media giant, Mark Zuckerberg said in a Facebook post that watching a show does not have to be passive. Moreover, he also stated that watching a show could be a chance to share an experience and bring people together who care about the same things. His statement clearly hinted at the onslaught of Facebook’s own video streaming service offering direct-to-consumer video-streaming services. Goes by the name Watch, this new tab offering video streaming service will be soon made available for the users to see and use. Under the Watch tab, they will be able to see a wide range of shows, some of which have already been funded by the social media giant. Further to that, they will also be able to watch personalized content, based on what their friends on Facebook are watching. Apart from watching the shows, they can also leave comments on the videos, stay connected with their friends and also join dedicated groups created for the shows. Despite the presence of the video feature on the social networking site for some time, it was not being utilized to its full capacity as it was predominantly used for displaying amateur video clips or short news segments from news companies. Having added a video tab last year to its interface, Facebook has finally hinted that it’s ready to move towards producing its own original content just like Netflix does. The Watch tab is expected to open up new business horizons for both Facebook and the programmer makers, reaping revenues for them. Also, while using this medium, users can expect to witness target advertising before and during the shows. Since half of the world’s population is present on social media, we can clearly understand how crowded the market is going to be for Facebook’s dedicated video-streaming service. 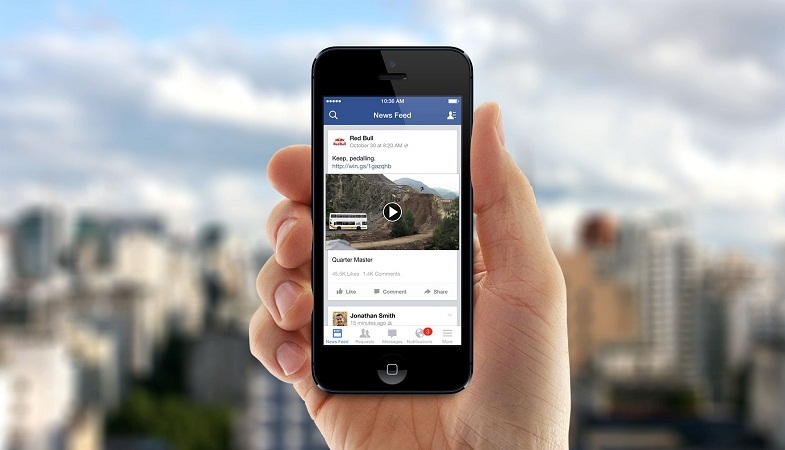 With the ever-growing number of users, Facebook will be likely to face competition from not only traditional TV networks but also from other popular online video streaming services like Netflix and YouTube. Speaking of, Disney has also recently announced that it will cut off its existing deal with Netflix from 2019 onwards and start creating its own dedicated video-streaming services. Disney aficionados won’t be seeing their favorite Disney content on Netflix but on their own online streaming service. Disney has also decided to set up a sports-themed ESPN streaming service which is slated to launch sometime next year. As far as the content is concerned, Facebook has already lined up some content that includes Women’s basketball, Major League Baseball, a safari show from National Geographic and few parenting shows. As per Reuters news agency, the social media giant has also signed few deals with millennial-oriented media groups including ATTN, BuzzFeed, Group Nine Media, Vox Media and others to produce shows for them. In the beginning, the Watch tab is set to have a limited release only in the US before it is launched broadly elsewhere. What Is Cloud Based Email Management?